A fun and worry-free road trip starts with the right vehicle. Whether it's going to be for a quick weekend getaway on your own or a much-waited vacation with the whole family, you need to make sure that you chose the right vehicle. You will be spending long hours on the road and your whole trip will certainly be more enjoyable if you don't have to worry about encountering any problems on the road because of the vehicle that you're using. Safety should be one of your primary concerns when choosing the right vehicle for your road trips. Keep in mind that it is your responsibility as a car owner and motorist to check the road worthiness of your car. There are certain road worthy standards that should be followed and these are not just for your safety but also for the safety of the other motorists. It is important that your vehicle undergo regular car safety checks. These car safety checks should not be taken lightly because even those that you may perceive as a minor maintenance issue may cause accidents or injuries. One of the things that should be checked is the car seat safety. You need to make sure that car seats are installed properly and that if there are adjustments to be made, they should be addressed immediately before they are to be used. If possible, have professionals conduct these safety checks. Seat belts and child safety seats should be installed properly so that each occupant will be protected and that the chances of sustaining any major injuries in instances of car crashes will be minimal. So before going on that road trip, make sure that you choose a car that has all the safety features that you need and can create for you a stress-free and enjoyable trip even if you have to spend long hours on the road. 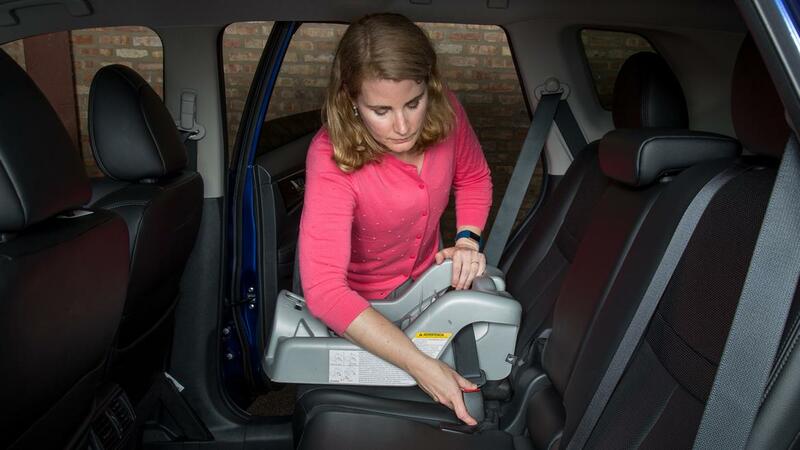 Check out Cars.com today for more information about car seat safety checks.